Click on this link to give to the Construction Management Fund for Excellence! Construction Management students are among the most aggressively recruited on campus, with nearly 100% finding full-time employment prior to graduation. 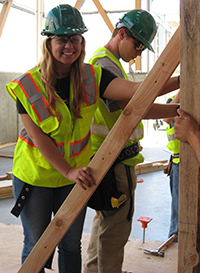 Employers and industry agree – Cal Poly Construction Management graduates are better prepared for the workforce and for leadership positions in the field because of their hands-on experiences while in college, and due to their ability to work collaboratively in teams and across disciplines. 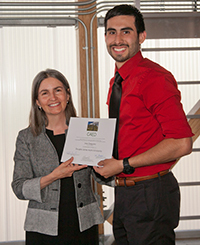 Scholarship support is a critical part of student success. Your donation not only provides financial support to the recipients - it can make the difference between whether a student joins an ASC competition team or an academic club. Consider supporting an existing scholarship, or starting your own today! Courses and labs are where our students gain valuable learn by doing experience. Your support helps keep these courses updated and industry-specific, and keeps the labs state of the art allowing us to stay on track with new innovations and trends in technologies. 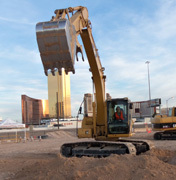 Investing in the underwriting of a course will ensure faculty offer industry-specific projects that represent the reality of the construction profession today. Your support may be used to provide professional development opportunities to faculty and/or students, or provide transportation and lodging for travel to conferences or competitions. Equipment and supplies/materials may also be purchased with the funds. Your support of a specific lab or classroom will provide faculty and students necessary hands-on practical experience, essential preparation for a career in construction management. 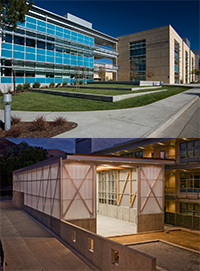 Opportunities for lab/class naming still exist for the computer lab, several faculty research labs, and several faculty offices. Construction management students are encouraged to enter hands-on competitions to foster resourcefulness, project management skills, and the ability to work in teams. During the past five years, Cal Poly teams have placed in the top three of every undergraduate competition category in this competition. They have brought home more trophies than any other program in the country. Partnerships with industry make Cal Poly’s Construction Management department a leader among the country’s construction management departments. Support from our partners includes classroom presentations on innovative industry rends, student field trips and professional internships. If you would like more information about how your company can be involved, call today. The CCCE is an educational outreach unit designed to provide practitioner education, applied research service, and consultations to the design and construction industry in the state of California and to serve the community at large as a national clearinghouse for industry leadership, knowledge, technology and innovation. Contact Scott Kelting for more information about the CCCE – 805-756-6315 or skelting@calpoly.edu. Your gift to this discretionary fund will be used as needed to support such expenditures as student/faculty travel, materials and supplies, or code books. Please contact Dr. Allan J. Hauck, CPC, Construction Management Department Head, at 805-756-5118, or email ahauck@calpoly.edu; or the CAED Advancement Office at 805-756-5138. Employers often match their employee donations, under certain circumstances or for specific purposes, which could double your gift. If your employer participates in this type of program, consider asking them to match your gift to Cal Poly. Make a legacy gift to CM, the college or the university by recording your intent in your estate plans.